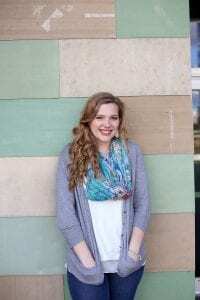 Anna Grace is a senior at Southern Methodist University majoring in journalism, fashion media and political science, with minors in law & legal reasoning and history of visual & performing arts. In the fall of her junior year, she studied fashion and business in Milan, Italy. At the Hunt Institute for Engineering & Humanity Anna Grace develops the communication strategy, writes blog posts and Hunt Institute communications, and assists with event production. In addition, she is creating a podcast series about the meaning of community through the Hunt Institute and the SMU Division of Journalism. Her previous research includes “Give Me a ©: Refashioning the Supreme Court’s Decision in Star v. Varsity into a More Complete Copyright Protection for Fashion Designers,” a paper written with Professors Jared Schroeder and Camille Kraeplin and a small team of journalism students. This paper was awarded Top Paper in the Law & Policy division of the AEJMC Southeast Colloquium and will be published in Volume 26 of the UCLA Entertainment Law Review. She has also completed research on the Supreme Court and copyright law through the Dedman College Political Science Department. On campus, she is Assistant Editor of SMU Look, a fashion magazine produced by the Division of Journalism. She also serves as the Public Relations Co-Chair for Alpha Chi Couture, a philanthropy event produced by the Iota Sigma chapter of Alpha Chi Omega.